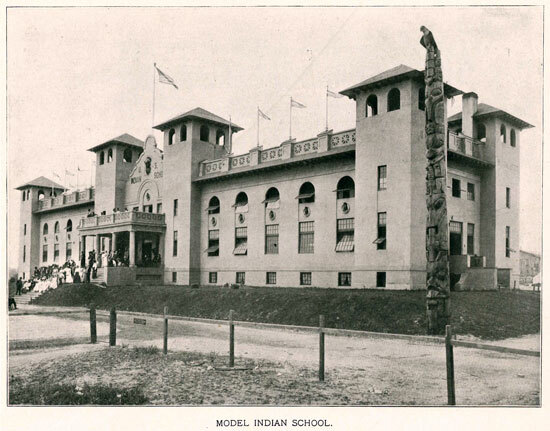 The Model Indian School at the 1904 World’s Fair. 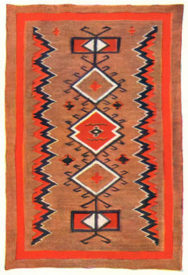 According to an Arizona newpaper, the owner, J. W. Benham, was “master of everything pertaining to Indians at the World’s fair.” 1 A consummate salesman, he had negotiated a number of titles at the fair: “Special Representative for New Mexico and Assistant Superintendent on Indian Exhibits under [Samuel] McCowan and also U.S. Indian Post Trader.” 2 Most importantly, though, Benham arranged to be the sole vendor of Native American goods adjacent to the Model Indian School at the Fair. This prime real estate positioned the store as a source for both tourists and Native Americans participating in the exhibition. 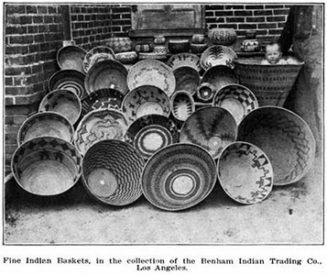 Baskets at the Benham Co.
From 1910 Trip of the H.M.M.B.A. 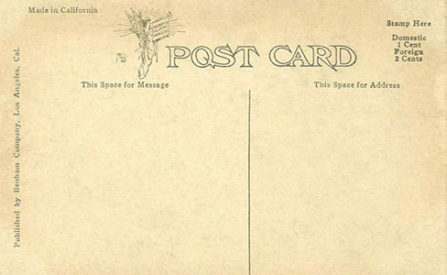 Back of a Benham Company postcard. 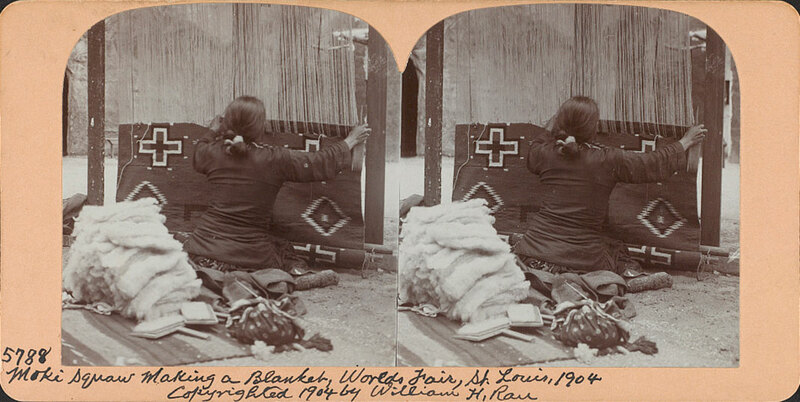 J. W. Benham, had been in the curio business since 1895, selling Native American baskets, textiles, pottery, and other artifacts, along with miscellaneous postcards, souvenirs, and knick-knacks. The company had stores located in Albuquerque, Phoenix, New York City, and Los Angeles, and their agents sourced the merchandise from over a dozen reservations. 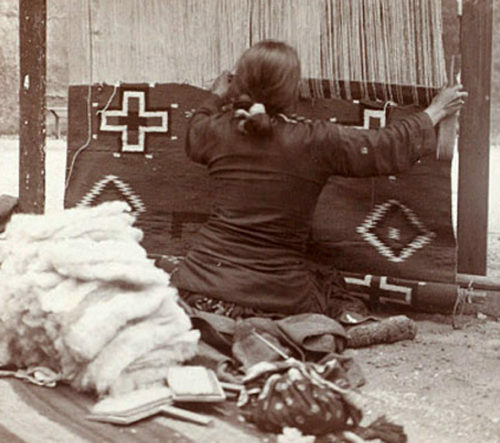 They were the top dealer of Navajo blankets, with “about three fourths of the Navajo blankets on the market.” 3 Navajo blankets were primarily sold out of the Albuquerque location, though the Los Angeles branch also stocked them. 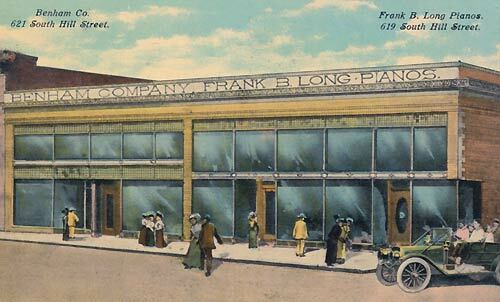 Benham Company at 621 Hill St.
With permission from “A Visit to Old Los Angeles and Environs,” by Brent C. Dickerson. 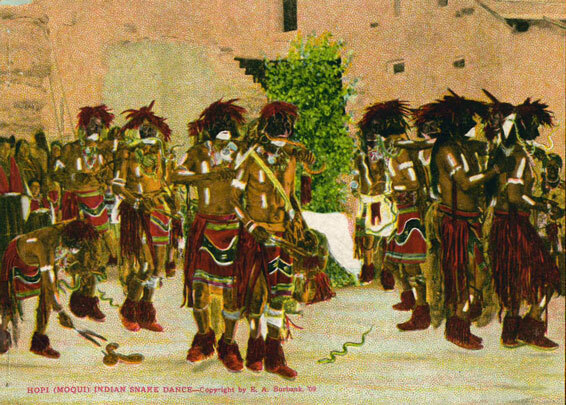 Postcard of Hopi Snake Dance published by the Benham Company. Collection of Western Costume Co.
What is notable, however, is the way he used his Native American knowledge and connections in each of these pursuits. In 1911, for instance, he traveled to the Hopi reservation in Arizona to film their renown Snake Dance for the Fox Motion Picture Company. In 1912, Universal Film Company sent him to New Mexico to scout Pueblo Indians for their films. He “wished to get as many as forty-five Indians of all ages and types before he left for the coast, and said that he was purchasing seventy head of Navajo ponies, pintos, and fancy colored animals, at Gallup, to send back to the studios.” 6 The line between his filmmaking and Native American interests were often blurred. A 1911 article even describes the Benham Trading Company as “general commercial photographers, interested in producing post cards, moving picture films and view books.” 7 His Native American expertise influenced his filmic endeavors, but his filmmaking efforts seemingly influenced the Benham Company, as well. 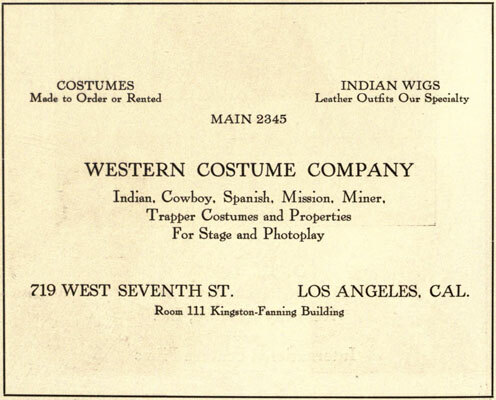 1914 ad for Western Costume from Picture Player Camera Men’s Ball program. “A Happy Surprise.” Williams News, May 26, 1906, 4. “Among the Exhibitors.” The Moving Picture World, April 20, 1912. Benham Indian Trading Companies, “Benham Indian Trading Companies.” The Papoose, vol. 1, August 1903. Bennitt, Mark, ed. History of the Louisiana Purchase Exposition. Saint Louis: Universal Exposition Publishing Company, 1905. “Business Brevities.” The Los Angeles Times, February 25, 1914, 12. “Doings in Los Angeles: The New ‘Argus Weekly.’” The Moving Picture World, July 13, 1912. “Los Angeles.” The Moving Picture News, September 9, 1911, 22. “Louis Burns, who has been at St. Louis.” The Coconino Sun, December 17, 1904, 6. “Louis, son of L. L. Burns, will leave.” The Coconino Sun, September 7, 1901, 1. Parezo, Nancy J., and Don D. Fowler. Anthropology Goes to the Fair: The 1904 Louisiana Purchase Exposition. Lincoln: University of Nebraska Press, 2007. Static Club of America. Picture Player Camera Men’s Ball Souvenir. Los Angeles, January, 16, 1914. “Unexhibited Films Sink with Titanic.” The Moving Picture World, June 29, 1912.